In the video below, Civic Fellow and clarinet Juan Gabriel Olivares tells the story of the 2018 Bach Marathon. The CSO-Connect Curriculum Program brings CPS teachers from arts and non-arts classrooms together to develop lessons tied to a yearly theme and orchestral repertoire featured in a CSO School Concert. Teachers in this professional learning community regularly attend workshops where they share their expertise and collaboratively work on improving teaching skills. In addition, teams of musicians from the Civic Orchestra of Chicago Fellowship program visit all CSO-Connect partner schools. During these visits, they collaborate with students on music composition projects that focus on the program’s main idea. This collaborative process is then showcased at the Connect culminating event, where the fellows join the students to perform these original music compositions. season was presented in partnership with our awesome colleagues at The People’s Music School. Watch the video to follow the journey. See you next year! In 2012, with leadership from the CSO’s Judson and Joyce Green Creative Consultant Yo-Yo Ma, the Civic Orchestra embarked on a unique experiment designed to enhance the musicians’ artistic confidence, expand their creative capacity, and achieve full ownership of their preparation and performance. This is the story of their season-long journey; the first-ever Artistic Challenge. The Chicago Youth in Music Festival is a celebration of young classical musicians from across Greater Chicago. The Civic Fellows welcome our partner schools to Symphony Center to observe a Civic Orchestra rehearsal and then play side-by-side with them. 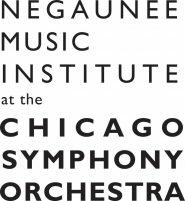 A cycle of mentorship: Chicago Symphony Orchestra musicians nurture the Civic Orchestra, and Civic musicians nurture their young counterparts! Lullaby Project is an initiative developed by New York Cities Carnegie Hall that works with new and expectant parents to write personal lullabies for their babies. While connecting participants with professional artists, parents are given guidance and support in maternal health, aid in child development, and the opportunity to strengthen the bond between parent and child. Lullaby Project is a creative project implemented under Carnegie Hall’s Musical Connections program which focuses on fostering a collaborative atmosphere between participants and professional artists to create, perform, and produce original music and art. This project allows its participants a chance to express their voices and provides them with new opportunities for personal growth. The Lullaby Project also utilizes personal experiences and stories to connect people to one another, creating empathy, informing policy, and strengthening communities.